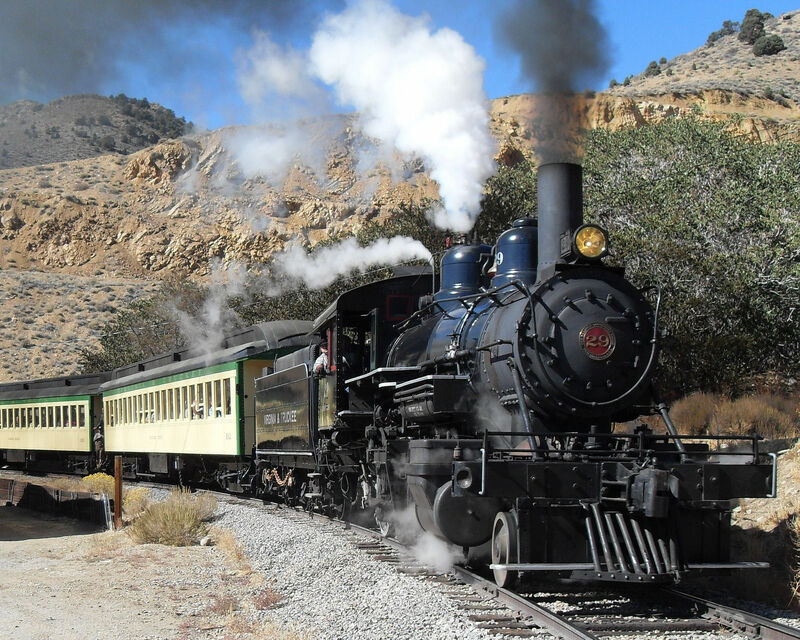 Steam Train takes off from Virginia City to tour Nevada. Retro candy is widely sold in town. Costumed docents lead tours of the Old West sites. Pianist Squeek Steale plays tunes at Bucket of Blood Saloon. The Way It Was Museum has good exhibitions. Hats for sale at one of the many classic shops in Nevada City. Ride The V and T Railroad with rail fans and history buffs. Chollar Mine welcomes gold diggers of all ages. C Street is the main part of Viriginia City and well worth a stroll. 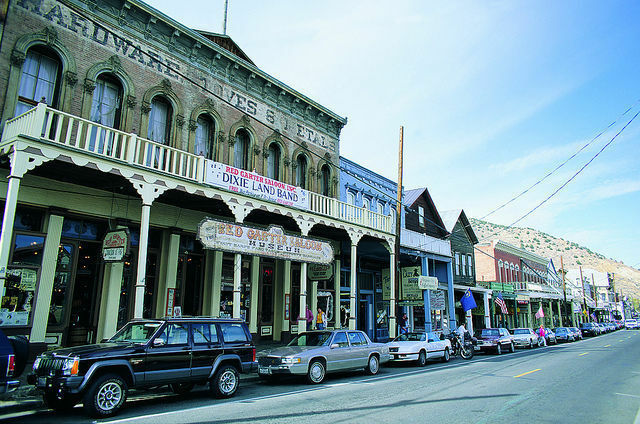 Virginia City, at its peak a bona fide frontier boomtown, is located in Nevada’s starkly beautiful high desert. It is under an hour from Reno and Lake Tahoe and approximately three hours from San Francisco. Although it’s close to modern diversions, a visit here feels like a step back in time. When silver was discovered in the mid-19th century, people from around the globe flocked to Virginia City. They were assured a good income working in the dangerous mines and could dream of striking it rich. Today, very little has changed in Virginia City and that’s what makes it such a distinct attraction. Many families are already acquainted with visiting historic sites, but perfectly-preserved Virginia City is experiential learning at its finest. 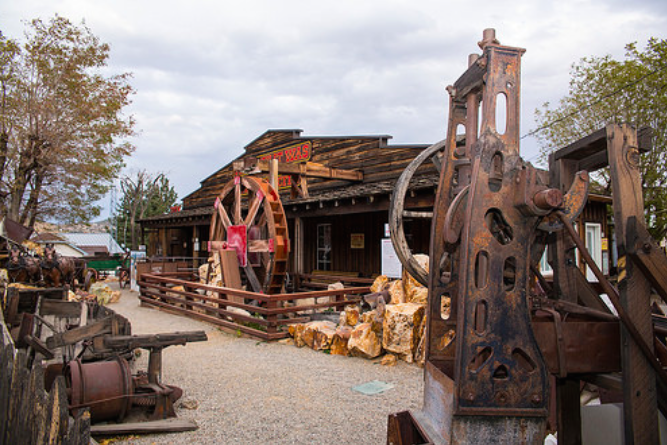 The kids will be having such a ball in the Wild West, they’ll never notice how much learning is taking place.Although there are museums, time spent here is not about examining artifacts in glass cases; it’s an immersive living history experience that showcases what life in a prosperous 19th-century mining town was actually like. The spirit is genuine so don’t expect an amusement park atmosphere. Stroll down C Street, the town’s main drag, and you’ll see how Virginia City has held onto its Victorian-era past. Saloons, old-fashioned stores and attractions line the pedestrian-friendly thoroughfare. Men in cowboy attire and women dressed in frocks with parasols strut as casually as if they were wearing 21st-century jeans and T-shirts. Some are costumed interpreters, but others are just local folk who enjoy period fashion. Rent costumes at the tourist office and join the fun. Virginia City’s reach was influential. In its heyday, it was one of the wealthiest cities west of Denver. A bonanza of revenue from the silver mines helped to build San Francisco and even helped finance the Civil War. The area was so rich in mineral wealth that President Lincoln gave Nevada a fast path to statehood. He knew that the Nevada tax revenue would supply an infusion of cash into the war effort and could help seal the Union victory. 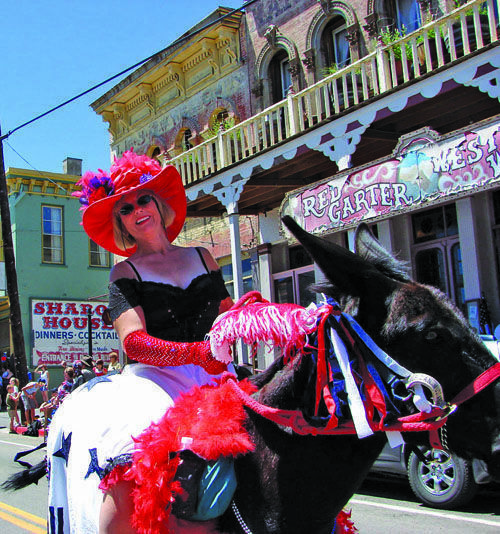 Virginia City hosts a variety of festivals and special events. Food festivals, parades and Christmas on the Comstock are just a few of the many events on the local calendar. The most popular is the International Camel and Ostrich Race held each September, but there’s something scheduled nearly every weekend. The following attractions are on or just off C Street, the main part of town. For a quick and comprehensive introduction, hop on the 20-minute narrated trolley tour. Learn about the illustrious men and women who once called the city home, including George Hearst, founder of the publishing giant, and Huckleberry Finn author Mark Twain. In the 19th-century, trains hauled millions of dollars worth of gold and silver from Virginia City. These steam and heritage diesel locomotives are now a popular attraction with visitors who want views of the mountains and of the city’s most famous landmarks. The 35-minute narrated excursion gives riders a comprehensive history lesson, but is short and interesting enough to keep restless kids entertained. 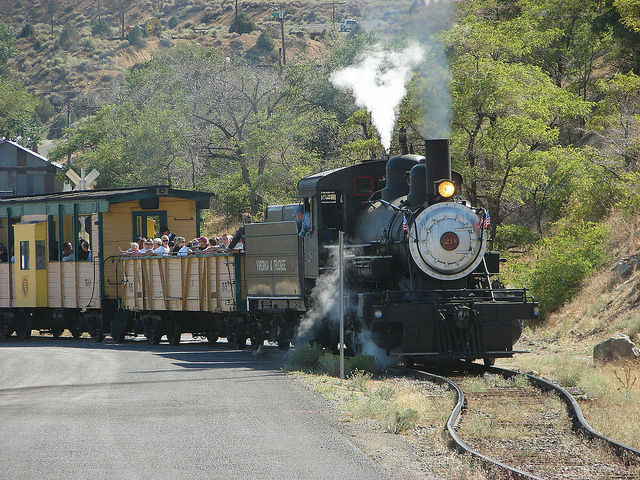 Train buffs should consider the longer route from Carson City to Virginia City, running only on weekends May-October. 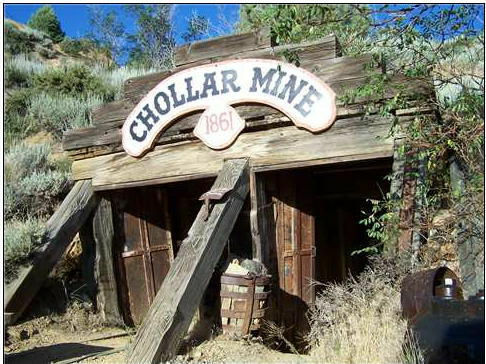 If your kids have ever wondered where gold and silver comes from, look no further than the Chollar Mine. A leading producer of gold and silver ore back in the day, the mine is now open to the public. A 30-minute guided tour takes visitors 400 feet into the main haulage tunnel. Old equipment is still scattered around the tunnel and the guide even demonstrates how ore is removed from mine walls. The tour isn’t for everyone -— the tunnel is narrow and dark, not suitable for young kids or anyone with a back problem. The Ponderosa Mine Tour offers a similar experience. Kids of all ages will enjoy mining for real gold and gems that they may take home. It makes a great do-it-yourself souvenir. 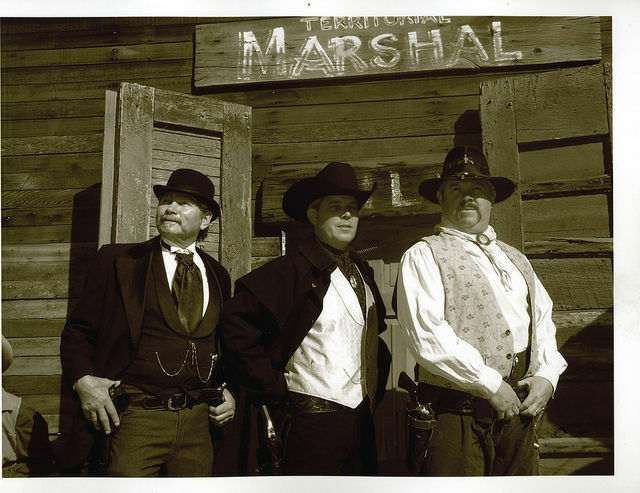 This live show re-enacts kitschy Western scenes, such as bank robberies and hold-ups. A loud gunshot sound goes off during some shows, so kids who are easily frightened by noise might want to skip this. Most school-aged kids will love it. Despite its sinister name, this saloon is an oasis of good clean fun. Yes, the old-fashioned bar serves a potent Bloody Mary, but families will enjoy cooling off with a soft drink and listening to live music, starting at noon each day. Talented pianist Squeek Steele plays thousands of tunes completely from memory, ranging from American classics to Scott Joplin ragtime hits. Virginia City is the perfect example of “the way it was” and this museum only adds to the city’s reputation. It boasts the most complete collection of mining artifacts from the area as well as rare photographs, lithographs and maps of the booming “Bonanza” period. A cemetery might not sound like the ideal vacation site, but Silver Terrace is so full of history that you should consider a stop. It is the final resting place for a diverse group of miners—Irish, Chinese, Mexican and more -— who spent their lives working the Comstock Lode in Virginia City. The colorful headstone inscriptions tell their thought-provoking individual stories. Built in 1876, the Fourth Ward School was the learning center for hundreds of Virginia City students until the 1930s. While kids no longer attend classes there, plenty of children show up every year to tour the four-story museum and cultural center. The 19th-century classroom is a winner. Unique shops abound in Virginia City. 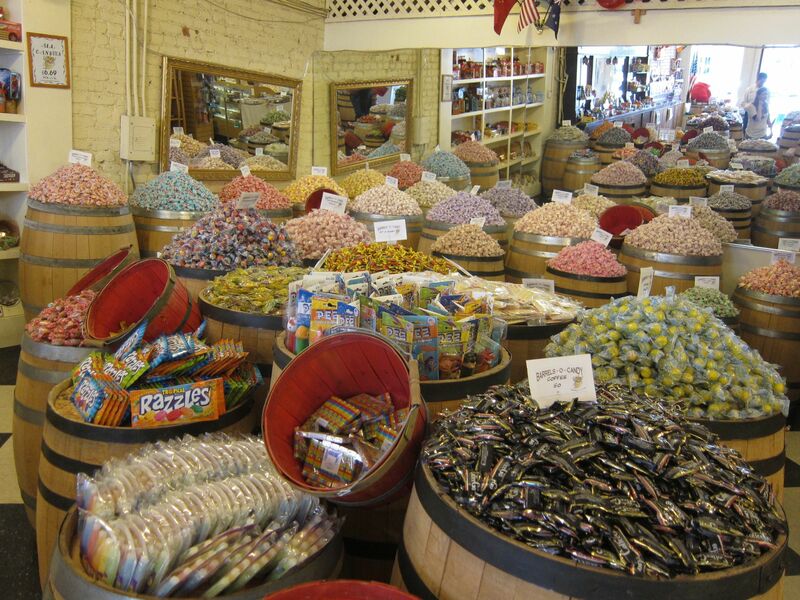 Barrel-O-Candy, Reds’ Candies and Grandma’s Fudge Factory sell yummy retro sweets that will give everyone an afternoon energy-boost. 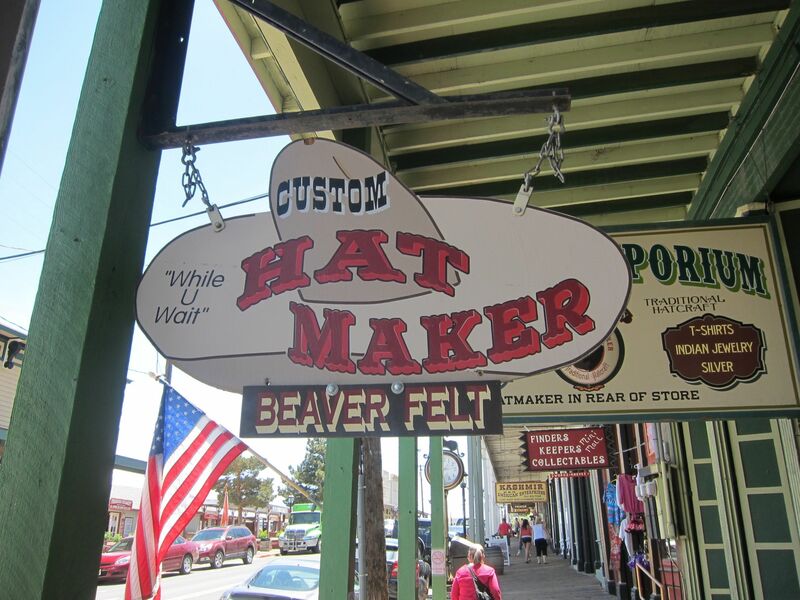 Our favorite store was the Pioneer Emporium and Virginia City Hat Maker. Dashing young Frenchman Pascal Baboulin fabricates wonderful made-to-order hats. It’s fun to watch this elegant craftsman at work, and his adorable bilingual tots are frequently on the scene. The Gold Hill Hotel claims to be the oldest hotel in the state. It offers cozy rooms and spacious but simple cabins just a mile outside of town. There is an excellent restaurant on the premises. 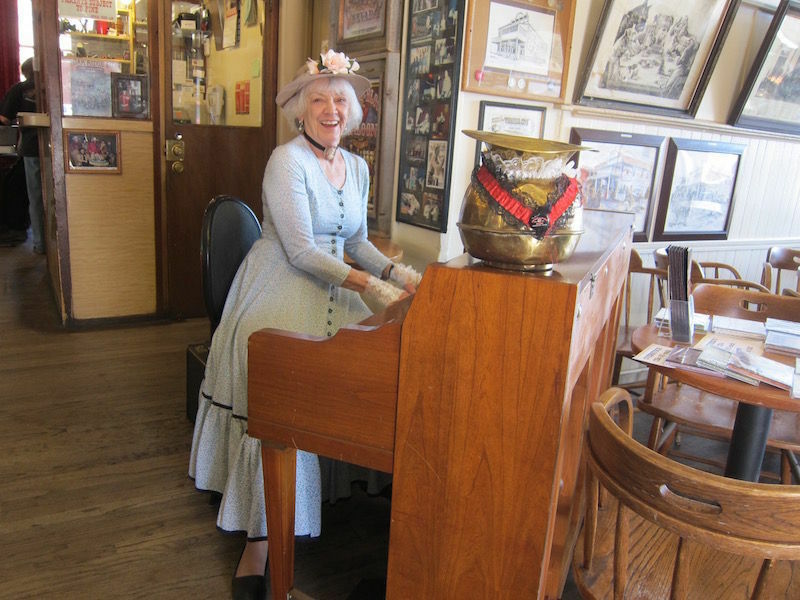 To plan your family’s “step back in time,” go to Visit Virginia City NV. Want to see more of Virginia City with kids? Head over to hang out with the camels.